Flirty, fluttery lashes that seem almost endless are on every woman’s wish list. So forget the hassle and expense of extensions and falsies. 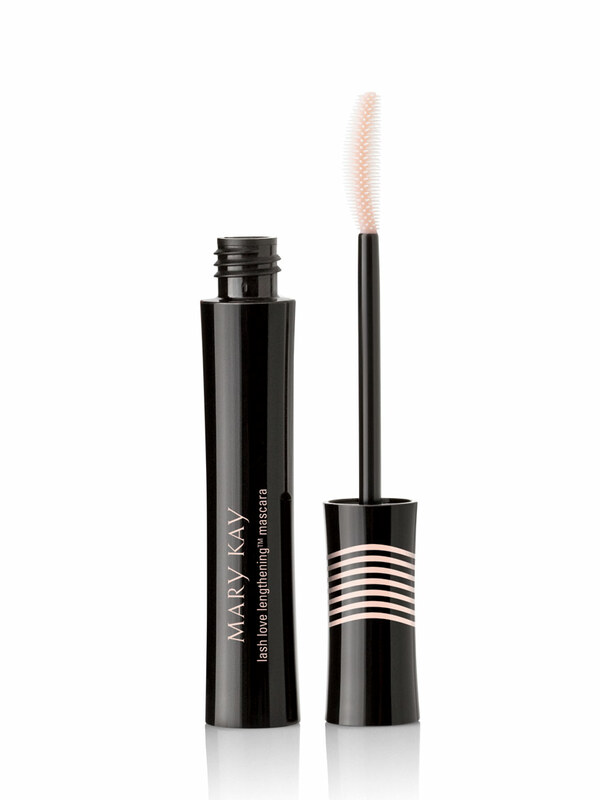 Instead, get the lashes you’ve been longing for with Mary Kay® Lash Love® Lengthening Mascara. It helps the look of lashes reach their maximum length for an exaggerated, instantly intensified effect. In fact, sophisticated photo imaging technology shows that this long-wearing, flake-free formula significantly lengthens the look of lashes with just one coat! Our special formula contains tiny fibers designed to extend along each lash from base to tip to create noticeably longer-looking lashes. Yet lashes feel soft and healthy without that spidery, stiff look. Of course, lashes shouldn’t settle for length alone. So Mary Kay® Lash Love® Lengthening Mascara is long on benefits too. It’s formulated with our exclusive Panthenol-Pro® Complex and vitamin E to help strengthen, fortify and condition lashes. If curves are what you crave, this lightweight mascara lifts lashes and helps them hold their curl for eye-opening impact. Plus, the specially designed brush brings even the tiniest lashes out of hiding as it perfectly defines and separates with no clumps. Gently wiggling your mascara wand in a back-and-forth motion from root to tip can help separate lashes while helping them look longer and thicker. If applying more than one coat of mascara, do one eye at a time to ensure the mascara doesn’t dry between coats, which can lead to clumping. And always curl lashes to really open up eyes and make lashes more visible. It’s better to curl lashes first to make mascara easier to apply and help prevent lashes from sticking to the curler and causing breakage. But if you curl your lashes after mascara, just be sure the mascara is completely dry first. Panthenol-Pro® Complex — This exclusive complex contains Pro Vitamin B5, which is commonly used in shampoos and conditioners to attract moisture from the air and bind it to the hair. These properties make it ideal for use in mascara. 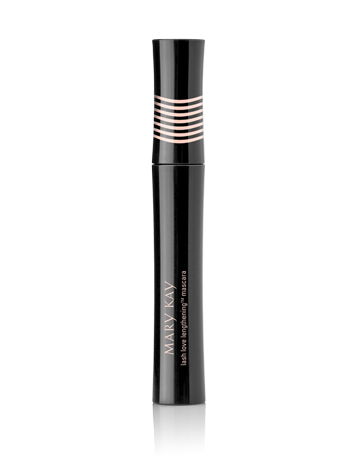 With this complex included in the formula, Mary Kay® Lash Love® Lengthening Mascara protects, conditions and strengthens lashes while helping prevent lash loss and breakage. Vitamin E (Tocopheryl Acetate) — An antioxidant known for its conditioning benefits. The best mascara formula can fall short without the perfect brush to maximize its performance. 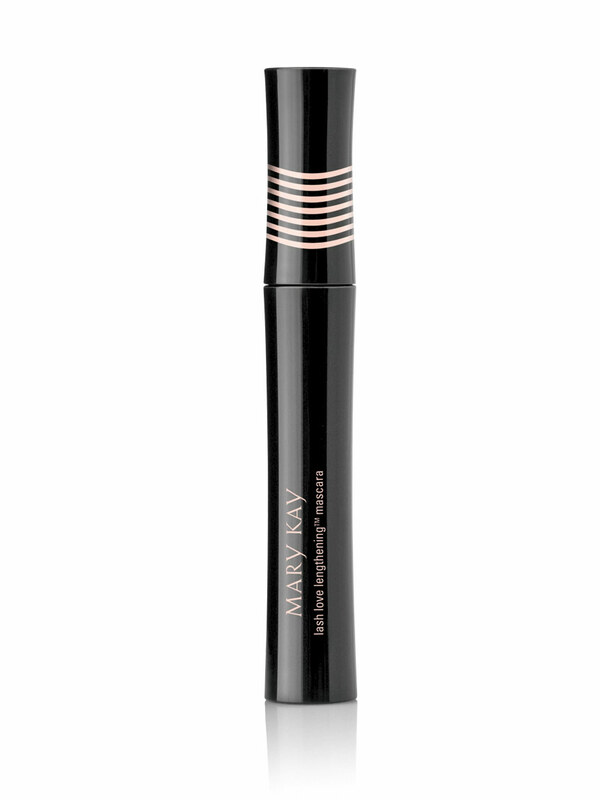 Mary Kay® Lash Love® Lengthening Mascara features an innovative brush specifically engineered to precisely apply the formula to each and every little lash with clean definition. Designed with longer “spokes” sandwiched in the middle of shorter outer “spokes,” the brush works to adhere the formula’s fibers to lashes and then gently extend the fibers beyond the ends of lashes. This unique design also ensures even the finest, tiniest lashes get attention with no clumps in sight. And the curved shape of the brush lifts lashes and helps them hold their curl. The result is noticeably longer-, flawless-looking lashes you’ll love. This special formula features a combination of short and long fibers that hug lashes and gently extend beyond the end of your natural lashes, creating a lengthening effect. It’s formulated to easily glide along each lash from root to tip to provide even coverage and get the most length from the fibers.